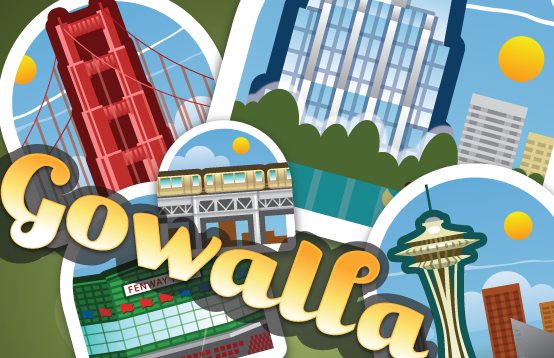 Crackberry reports that Gowalla has released a dedicated Blackberry app in beta. Rival Foursquare has had a Blackberry app for awhile, and previously Blackberry users had to access Gowalla via their mobile site (m.gowalla.com), which of course doesn’t have the interactivity of a native app. Although many mobile apps would probably prefer to simply point their non iPhone/Android users to a mobile site, for social location services, the level of interactions required to find a location and checkin really makes native apps a huge benefit. Some comments we’ve seen so far say that GPS is required to use the app. Gowalla CEO Josh Williams had previously hinted back in February that the check-in service would simply improve their mobile site for Blackberry users, but the continued strong competition from Foursquare and others (plus the fact that they still must have plenty of cash on hand, as they’ve received over $10M in funding to date) must have changed their minds as to building and supporting a native Blackberry app. Blackberry users can download the app here. Read next: Screencap: "The fat one"